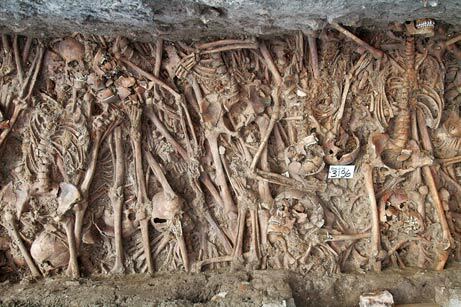 Everyone knows college is full of interesting stories and here is the latest one: at Mississippi University a burial site with more than 1000 bodies was found on the campus. The bodies were discovered when breaking ground to build a new parking lot for the University’s medical center. 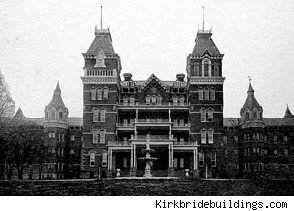 The bodies are believed to be patients of the old Mississippi State Lunatic Asylum which included tuberculosis patients, former slaves, or possibly even civil war veterans. All the bodies are unnamed, and causing problems for the University. The Lunatic Asylum Opened in 1855, and operated on the university site until 1935, when it moved to its present location at Whitfield. ( photo courtesy of asylum.com This is a photo of the old Lunatic asylum). According to the Huffington post, Dr. James Keeton, Dean of the University of Mississippi Medical Center states that, “Finding the bodies is stopping the expansion of the University and is coasting $3,000 per body to relocate. That ends up being about three million dollars the University will have to spend”. Keeton then adds, “The University can’t afford to do this”. The University will most likely not move the bodies and expand somewhere else on the property, yet they are still worried that there are more unmarked graves on the property. This interesting historical happening could just be in the way of progress for UMMC.